NDI is proud to recognize the work of its LGBTI partners around the world on International Day Against Homophobia, Transphobia and Biphobia. 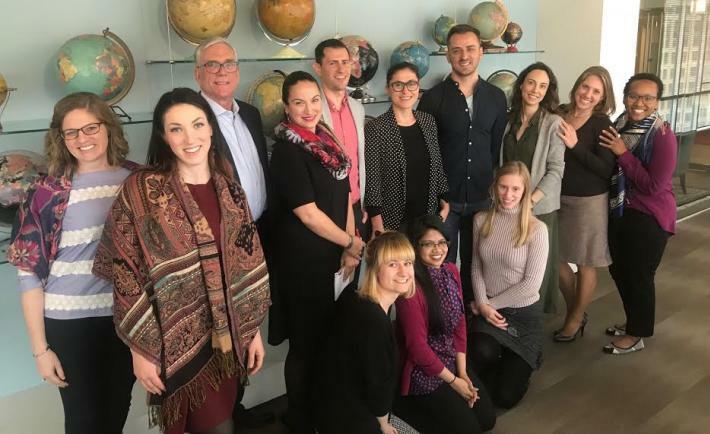 “This is a once in a generation opportunity,” declared Dragana Todorović, Executive Director of the LGBTI Equal Rights Association for Western Balkans and Turkey (ERA), during a recent meeting with NDI staff in Washington, DC. Dragana and her co-Director Amarildo Fecanji visited NDI to discuss current opportunities and challenges for LGBTI political inclusion across their region. Established in 2015, Belgrade-based ERA serves as a structure to help a growing movement cooperate on projects and campaigns and learn collectively from each other. ERA’s core work consists of national and international advocacy on LGBTI rights, capacity development of its member organizations and evidence-based initiatives to strategically increase the positive visibility of the LGBTI movement. Since its creation, ERA has formalized decades of regional cooperation by activists through an association of 58 LGBTI organizations from Albania, Bosnia and Herzegovina, Croatia, Kosovo, Macedonia, Montenegro, Serbia, Slovenia and Turkey. The “once in a generation opportunity” Dragana referenced alludes to a shared political entry point for most member groups: the chance to use the European Union (EU) integration process to advocate for greater LGBTI rights and inclusion at the national level. In the past decade several Balkan and Eastern European countries have gained EU membership, and many others are in the midst of accession. This time-bound process puts unique scrutiny on each country’s human rights frameworks and incentivizes national governments to reform laws in line with EU standards. The EU is firmly committed to protecting LGBTI peoples’ human rights, and the EU Charter of Fundamental Rights explicitly prohibits discrimination based on sexual orientation. These frameworks provide an opening for activists to pressure their governments for stronger LGBTI legal protections and implementation. One of ERA’s top priorities is ensuring LGBTI rights are included in each country’s EU integration process. Leveraging this opportunity now could establish mechanisms and norms for LGBTI equality, such as national action plans – new or strengthened legislation and LGBTI CSO visibility in a mainstream political processes – that would have an enduring impact for years to come. Where ERA works, formal legal protections are necessary, but not sufficient. In fact, many countries aspiring to join the EU already have some measure of legal LGBTI rights protections. But gaps in implementation and pervasive homophobia and transphobia mean the lived experiences of LGBTI people contradict the law on paper. According to NDI polling across six Western Balkans countries, conducted in 2015, approximately one third of LGBTI people have experienced physical violence due to their sexual orientation or gender identity, and more than two thirds have experienced psychological abuse. Meanwhile, LGBTI visibility is extremely low, with only one in ten people reporting that they personally interact with an LGBTI person. Recognizing this type of data is critical to understanding and addressing barriers to LGBTI equality, ERA has prioritized survey research in recent years. To this end, they partnered with the World Bank, Ipsos and UCLA’s Williams Institute to survey the socio-economic dimensions of LGBTI exclusion in the Western Balkans. 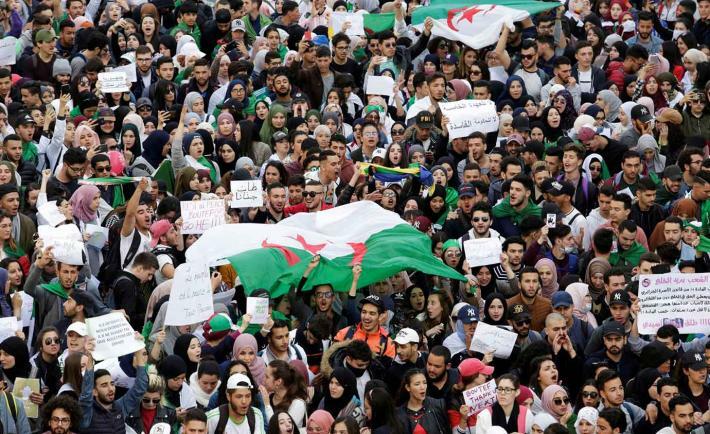 Their future plans include another regional poll on attitudes towards LGBTI political and social inclusion, using NDI’s 2015 poll as a baseline. This research helps movements make strategic and informed decisions based on public sentiment around their issues. In recent years, progress and backsliding on LGBTI rights in ERA’s region has varied. For example, Serbia has seen rapid advances in LGBTI political participation and visibility: the country’s first openly lesbian prime minister, Ana Brnabić, was appointed in 2017, and in 2018 ERA identified 20 openly LGBTI people running for elected office in Serbia. Yet, according to ERA representatives, bans on the Istanbul Pride Parade and public LGBTI organizing in Ankara has forced Turkish activists to cancel their activities or hold them in private. And as a regional hub for LGBTI refugees from nearby countries, Turkey’s LGBTI organizations are working to support the myriad needs of these new members of their community. While in the Western Balkans ERA’s strategy focuses on EU integration, in Turkey the highest priority for LGBTI communities is defending personal safety and civic space. Despite these differences, ERA sees regional networks as the future of the LGBTI rights movement, not just in their region but around the world. Because of their local similarities, mutual learning can often be applied more directly. While national laws exist only within borders, common social biases and stereotypes often span across them. Regional organizations also may have better access to non-capital-based organizations to support local, grassroots efforts. And perhaps just as important, working as part of a unified social movement provides LGBTI activists the support and solidarity to continue their fight for equality.